ADMX-71 latest single on L.I.E.S. Records "Melted Fuel"
In 2014 ADMX-71 released "The Redacted Files" on New York's L.I.E.S. Records. The EP was foreshadowing the album that was dropped in 2015. Trail Of Conjuration by Valanx remixed by ADMX-71. After a hiatus the ADMX-71 returns with the latest full length endeavor entitled "Second System". Available on CD & Limited Hand Stamped 2X12" vinyl on the newly reactivated Sonic Groove Experiments imprint. Below the streets of New York City lies the largest network of subway lines in the world. It is a massive system, with the longest line running 31 miles. The majority of the system was built in the first three decades of the 20th century. During this time many areas in New York City were yet to be developed. As construction on the system slowed down in the late 1930s, the building of new homes and businesses in the underdeveloped areas continued to grow on a fast pace. Up until now many of these neighborhoods have been left completely void of any near distant subway service. Already in the late 1920s city planners recognized the dire need to set up mass transportation, City engineers laid out a massive proposal to create a "Second System" of subway lines which would connect the neighborhoods through the already pre-existing first built system. The proposal called for the development of 200 miles( =312 km) of new tunnels and elevated train lines spreading across the entire city. During the construction of the first part of the subway system, engineers already thought ahead about "Future Expansion" and built "Provisions" into it. Such provisions were uncompleted tunnels, "Shell Stations" like the "South 4st Connection" and other unfinished constructed oddities which added more flexibility in future planning. As building the First System was still ongoing, America was pulled into World War II. This halted all construction plans. The connections of the lSecond System became nothing more than "Elevated Dreams". When the war ended five years later city planners changed their course of direction. They decided that building an automobile infrastructure was more important for the City of New York than one for urban mass transportation. Thus, most of the "Second System" would become nothing more then a mapped out idea. The majority of the plan ceased to be built. Leaving already built provisions as nothing more then wasted unused space. In the mid to late 1980s ADMX-71 was a mischievous youth who liked going into the subterranean world of the New York City subway system to paint his name across subway cars. Often on these tunnel dwelling missions he would come upon parts of the "Second System" unsure of what purpose it served. He would ask himself and/or friends: "Why would this tunnel turn to a dead-end? Why is there an abandoned subway station underneath a pre-existing station that has no logical connection? ..."
Many years later his questions would be answered as he came upon information about the plans of the "Second System" He was completely fascinated by discovering this failed massive construction project. Often contemplating during his journey by subway how different the system would be if it had been constructed. Inspired by his youthful tunnel explorations and his discovery, ADMX-71 takes his lasting visual impressions and translates them into an audio montage. Rhythmic noise of subway cars resonating around a curve next to a "Bell Mouth". While the train passes a compressed whoosh of air reverberates through the tunnel as the traffic light mechanism turns to red. A human element of sound appears inside "The Winfield Spur" as faint voices echo from the active station nearby. Somewhere in the dark above other urban city life noises emanate through ventilation gratings. Natural ambience takes hold in the "Uncompleted Remnants" as water flows openly through a drainage ditch like a small running brook in the countryside forest. While searching for "The Mystery at 76st" a train sits idle in the dark for its over night sleep. Its motorized compressors randomly discharging air drones through the tunnel. ADMX-71 takes inspiration from these visual and audio elements and connects the dots to those lines that never been built. 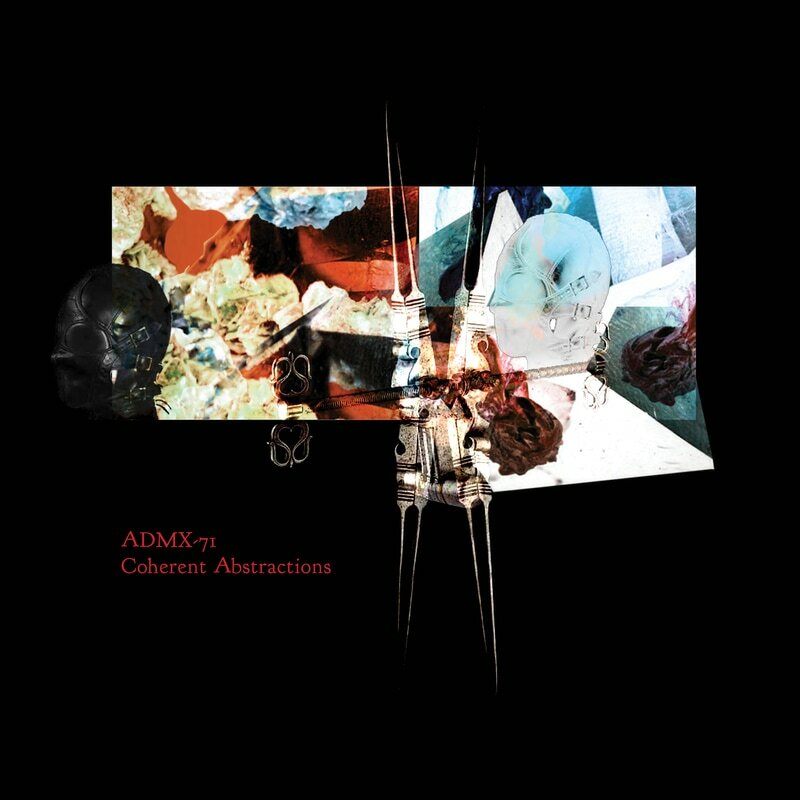 ADMX-71 is the conceptual downtempo electronic music project of well known NYC techno/industrial artist Adam X also known as Traversable Wormhole. The first album of ADMX-71 was entitled Luminous Vapors, released 2009 on the legendary German industrial and experimental cult label Hands Records.